Cement brick making machine is a professional free-burning bricks making machine, which can be the best choice for users who require high quality equipment, high production, and high strength of bricks. 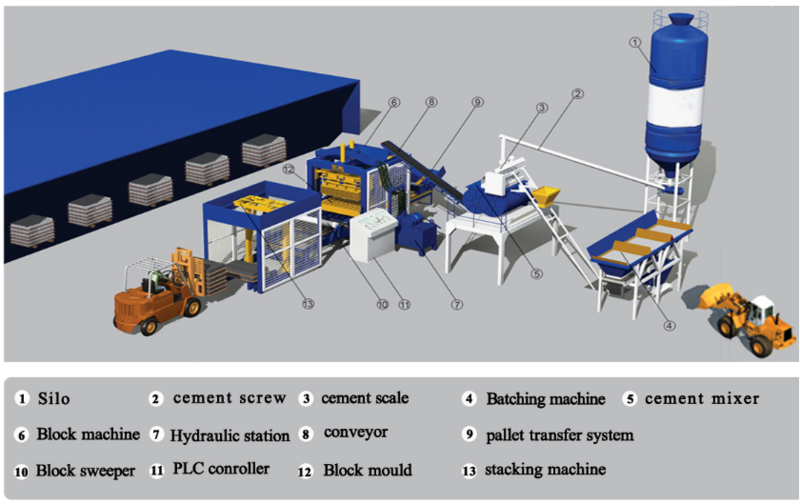 Cement brick making machine can produce a variety of different cement products for users by replacing different molds. Nowadays, protecting environment is the common theme for human beings. 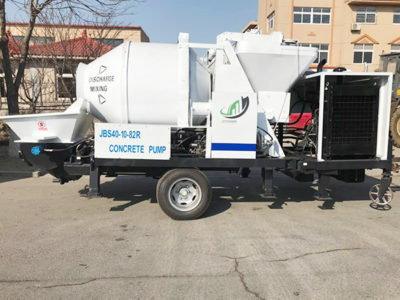 Cement block making machine is a really friendly environmental equipment that use sand, cement, dust, fly ash, construction waste, crusher stone as raw materials. Moreover the cement blocks or bricks have advantages of strong density, Good quality, high compactness and high strength. Cement brick making machine has advantages of simple operation, labor – saving, quick brick – out speed, low labor intensity. 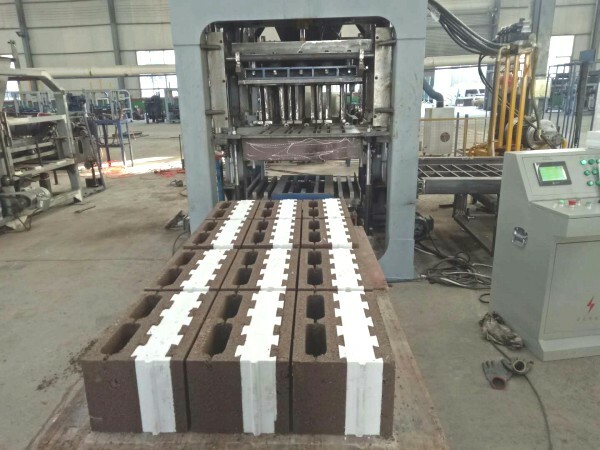 With the booming development of construction, it is ceaselessly to build road and buildings, and the quantity demand of concrete blocks has become larger and larger. 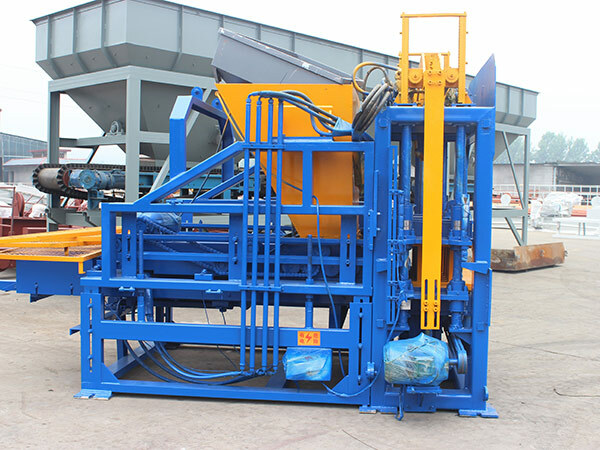 Cement bricks machine belongs to environmental protection machine type, dealt with construction rubbish effectively. Therefore, it is absolutely best choice of investing a high quality cement brick making machine with low inputs and high returns. We are one of largest and earliest cement brick making machine manufacturers. We have devoted ourselves to constant innovation and development of manufacturing skills of cement block machine for more than 10 years. We have mastered the advanced technology and our cement concrete brick making machines combined the characteristics of brick machines at home and abroad. At the same time, we have designed our cement brick making machine with the trend and requirements of market. 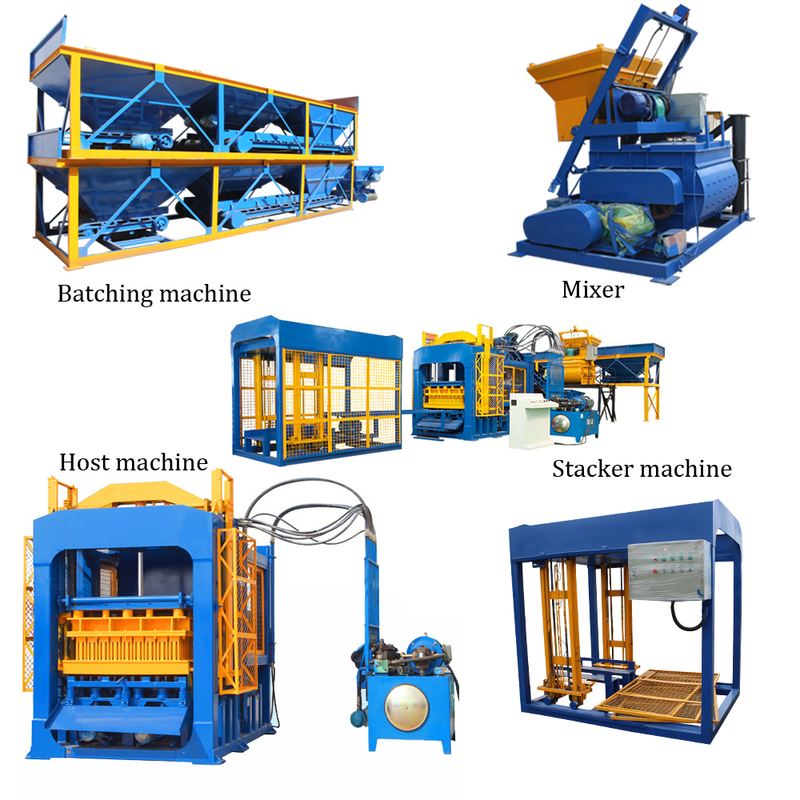 Till now we have manufactured many models of cement brick making machine, which has high quality and affordable price. Among them, the automatic cement making machine is the most hot sale products. 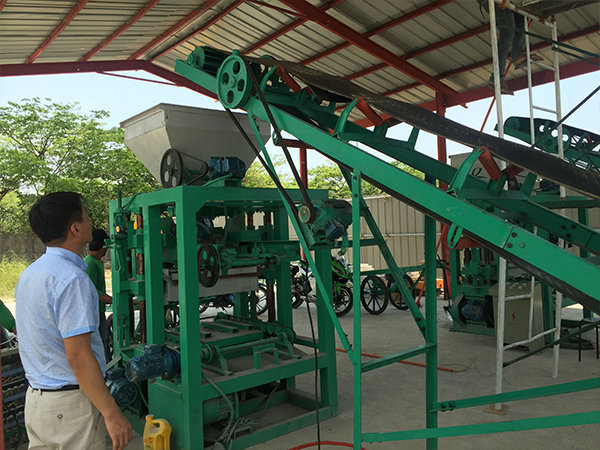 Automatic cement brick making machine can be divided into two types, including fully automatic cement brick making machine and semi automatic brick making machine. 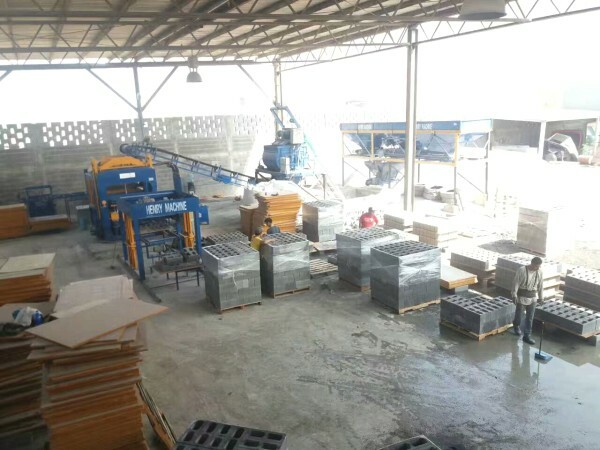 Both two kind of cement brick making machines have been well received by customers when they have been put into market, especially fully automatic cement block making machine. How To Judge Whether Cement Brick Making Machine Has Good Quality Or Not? In the real life, when we want to buy something, we always require the product has beautiful appearance, good quality and it is better to have a favorable price. Similarly, customers have the same thoughts when selecting a cement making machine. Then which factors that customers should take into account, I will list some points and hope will help you a little bit. 1. To see the frame part of cement block manufacturing machine. Cement brick making machine consists of frame part, hydraulic part, molding part, bricking-out part, electric control part. And the frame part of cement block machine for sale is the direct place to be seen at first. For good-quality machine, customers can not only care the outlook, it is more important to see whether the welding parts is firm or not. The welding parts must be smooth and firm. 2. To see the steel material. The using of steel material of cement concrete block making machine is what we can see intuitively. In general, there are three kinds of steel materials in the market, such as ordinary steel, carbon constructional steel and manganese steel. And the manganese steel of cement block making machine for sale is the best material. Of course, the manganese steel cement brick making machine is more expensive than others. 3. To see the vibrating part of main engine. It is a key part that be ignored easily by many customers. Because vibrating part of main engine is sealed. If cement brick making plant is not in the working state, it is hard to test. 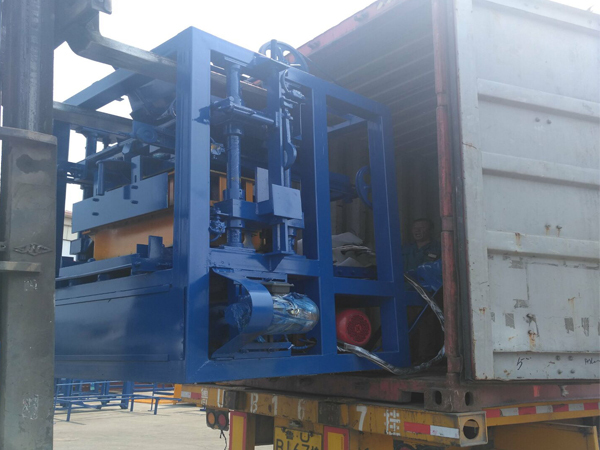 Here I can teach you a machinery knowledge, customers can turn the main axle of vibrating box, if the axle is flexible, that is not good instead. 4. Take electricity experiment. Customers can hear whether the cement brick plant has noise when it is running. It is good quality if the cement making machine sounds stuffy and powerful. 5. 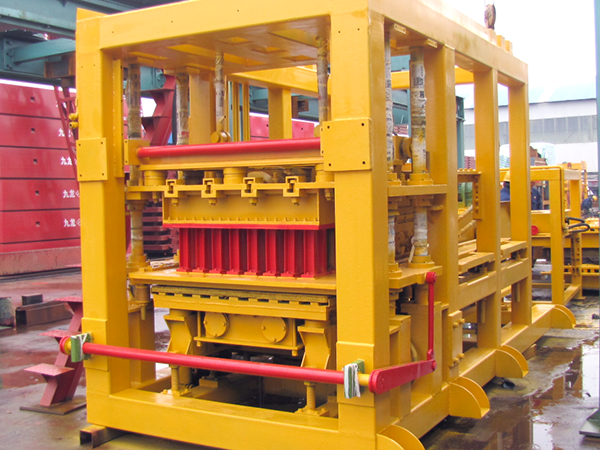 To see the hydraulic system of hydraulic cement block making machine. 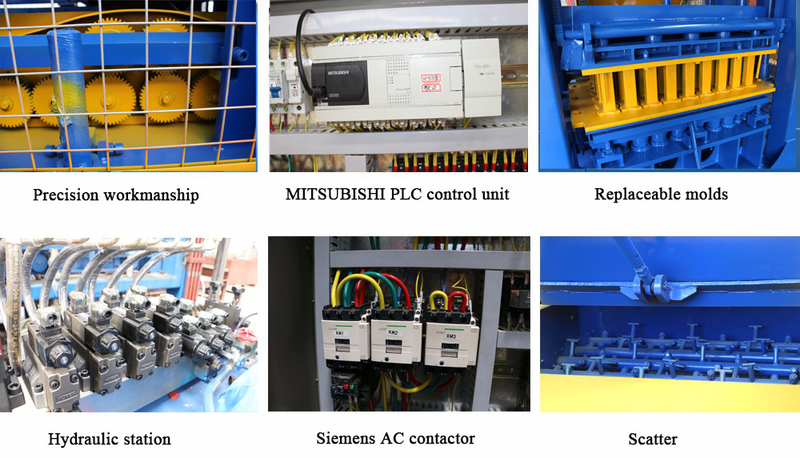 Firstly, customers should watch the hydraulic system has reasonable installation. The oil pipe has normative layout, which is important for cement block maker machine to do maintain later. 1. 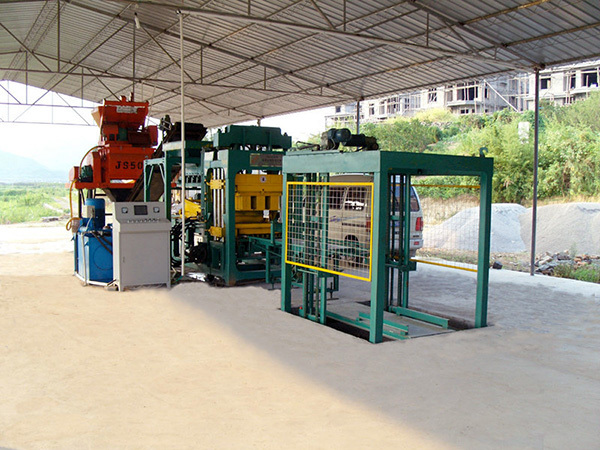 Automatic cement brick making machine can manufacture various of model of cement bricks. Moreover, bricks has advantages of no soaking, neat appearance, no fear of water, anti-weathering, anti-corrosion, anti-freezing and melting, and has high economic benefits. Automatic cement brick making machine of aimix group is a product of great promotion value. 2. Automatic cement brick making machine has higher automatic degree. Automatic program can help produce more accurate bricks and has short manufacturing cycle process. More importantly, automatic cement brick making machine can reduce a lot of manpower, so enormously saving cost. 3. Automatic cement bricks manufacturing machine has high working rate. 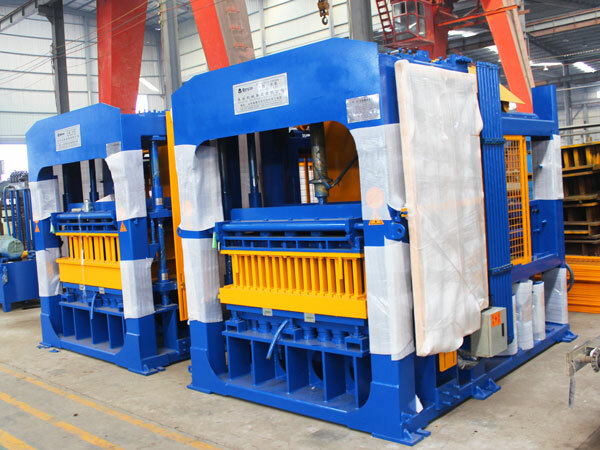 This kind of machine is much suitable for mass production of bricks with high strength, good durable features, standard size, even color. 4. 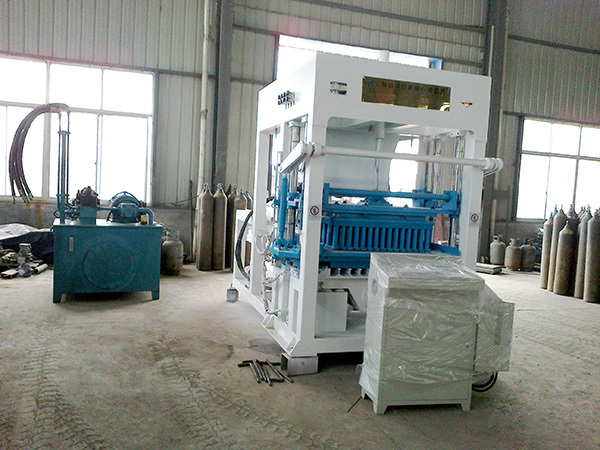 Automatic cement block making machine has compact structure. We have designed and manufactured our cement brick making machine with framed structure. This designed methods make cement brick making machine has more stable and firm characteristics and is capable to easy maintain. From the above, I hope customers can learn some valuable tips when selecting good quality cement brick machine. And we aimix group is a professional cement brick making machine manufacturer, if customers have any question, we are eager to help them. It is simple to make cement bricks by cement brick machine. First, Wheel loader truck driver add raw materials to batching machine. Then raw material will automatically be batched according to the proportional recipe. After that, the batch materials will feed into the hopper of mixer. Second, water and raw materials add into the mixer at the same time and mix together. Third, feeding machine of cemented bricks plant will place materials into mold. Four, pressure head will move down to press material with vibrating. Five, the bottom mold will rise and cement bricks turn out. Six, folk lift truck worker can transport bricks to finished product area, after 5-7days maintenance, cement bricks can be used directly. 1. We are 24 hours on line service. 2. 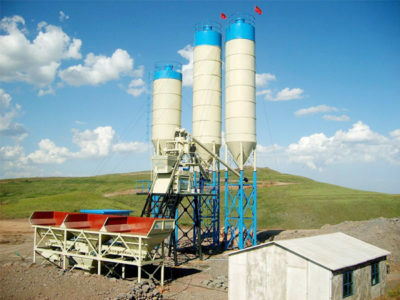 We will arrange engineers to help customers debug, test and install cement making machine. 3. We can train the operators in our factory or in customers’ place. 4. Except quick-wear parts, we supply one year replacement service and lifetime guarantee periods. Besides cement brick making machine, we also supply fly ash brick making machine, concrete block making machine, cement hollow block making machine, cement interlocking bricks machine and solid brick making machine. If you want to know the cement brick making machine price and more information about other brick machines, please contact us without hesitation. We will answer you immediately.